A documentary on the work of Sister Anna McAnany and the Peace Education Program of the Wai‘anae Coast, initiated by members of the community in reaction to increasing violence in the schools. The Peace Education Program works with students of all ages to bring peace and harmony into their lives. More than a conflict resolution project, it teaches children how to deal with their anger before it erupts. The leading force in this effort is Sister Anna, a Maryknoll nun, who uses games, skits and relaxation exercises to increase students' awareness of their emotions. At the end of the video, students from Nānākuli and Kalaheo High Schools join in an exuberant "Day of Peace" celebration. Nonna Tellis, Airleen Lucero, Stan Tamashiro and Richard McPherson. 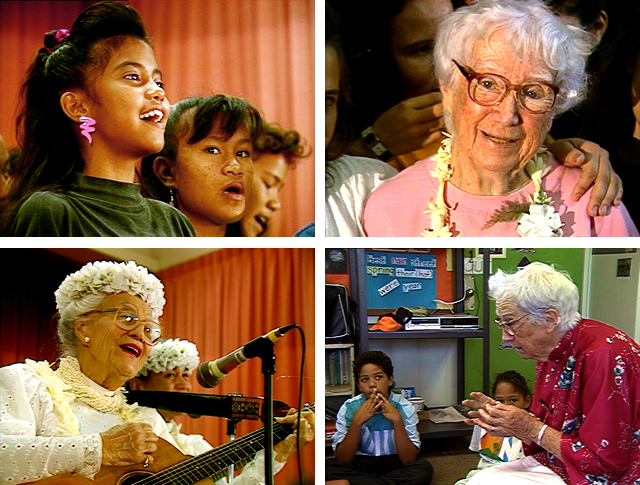 Includes the song For a Peaceful World, performed by Irmgard Aluli and the group Puamana.